The Bay Area is known for its passion for food and its forward-thinking policy. The region’s central cities have the potential to combine the two, leading the nation by demonstrating how municipal policy can catalyze the development of urban agriculture, build a stronger regional food system and create healthier communities. This program is generously supported by the The Clarence E. Heller Charitable Foundation, TomKat Charitable Trust, 11th Hour Project, New Belgium Family Foundation, John & Marcia Goldman Foundation and the Clif Bar Family Foundation. One of the biggest obstacles to healthy eating is the affordability of healthy food. The Santa Clara County Healthy Food Incentive Grocery Project helps families overcome that barrier. 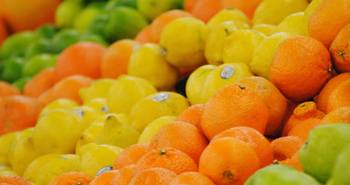 The project provides matching funds so that families and individuals participating in the CalFresh program can buy even more fresh fruits and vegetables at the grocery store. One in 10 adults in the Bay Area struggle to find three meals a day, while more than half of adults are overweight or obese. 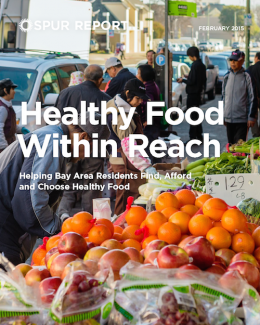 To meet our basic needs, improve public health and enhance our quality of life, Bay Area residents must have access to healthy food. 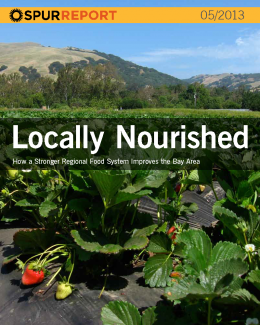 SPUR recommends 12 actions that local governments can take to improve food access in Bay Area communities. 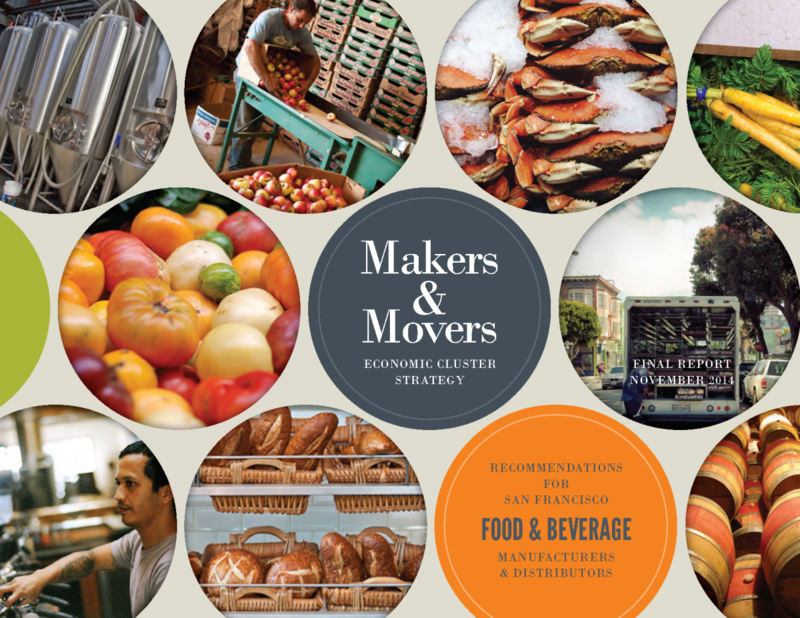 The past and future growth of the local food economy depend on the food and beverage manufactures and distributors who often operate behind-the-scenes. Recognizing this, SPUR partnered with the San Francisco Planning Department and Office of Economic and Workforce Development to develop recommendations for how the city can better support these businesses. The Bay Area’s food system supports our greenbelt, employs hundreds of thousands of people, and helps reduce our greenhouse gas emissions. SPUR's recommends a series of policies to help us more effectively capture the benefits of our regional food system. 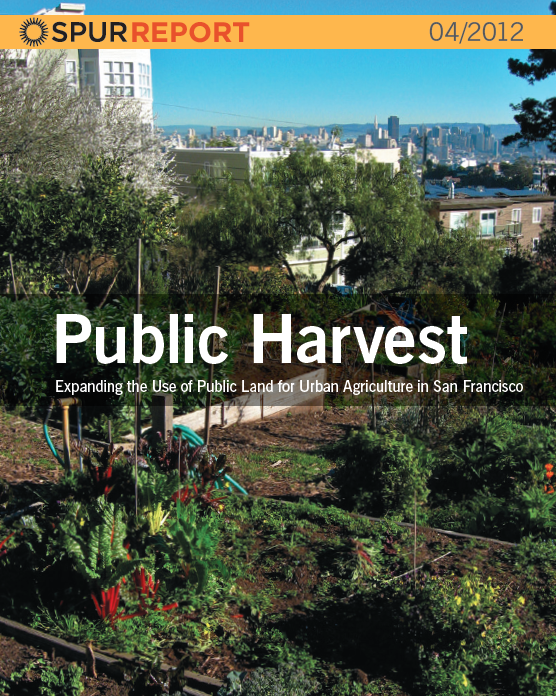 Urban agriculture has captured the imagination of San Franciscans in recent years. But the city won't realize all the benefits of this growing interest unless it provides more land, more resources and better institutional support. Letter urging Board of Supervisors Rules Committee to appoint the Sugary Drinks Distributor Tax Advisory Committee members. Since 2017, SPUR's Double Up Food Bucks program has helped families eat healthier and stretch their food budgets further while also supporting California farmers. Our program’s success — and that of many others across the country — has garnered the attention and support of elected officials. Policymakers at both the federal and state level dedicated unprecedented amounts of money toward these programs in 2018. Update: How Did San Francisco Decide to Spend Its Soda Tax Revenue? San Francisco began collecting a soda tax in 2018. While the tax measure didn't allocate revenue to a specific purpose, it did create a process for directing funds to the cause of better public health outcomes. SPUR took a close look at the process and how well it did at achieving the intended aims of the original measure. SPUR's Double Up Food Bucks makes fruits and vegetables more affordable for low-income families while increasing revenue for both grocers and California farmers. After its first year in operation, survey results show that families are buying and eating more fruits and vegetables — and stretching their food budgets further — thanks to the program. SPUR supports the resolution to adopt a Good Food Purchasing Policy in the City and County of San Francisco. SPUR supports AB 2335 (Corner Store Refrigeration Pilot Program).